My vehicle has 500k miles and is still going!! It's a pretty good vehicle. My ex husband bought it for me last year and had some work done to it so that it would be reliable in the cold months. It has almost 500K miles and came from out of state and looks in almost perfect condition. I must admit that with 4 children, I do hate the bench middle seat. It makes it so hard for my older kids to get in the back so that the babies can go in the middle seat. And the other thing is, if the back row is up, there is NO trunk space. I did love my Mercury Villager a whole lot more specifically because of the trunk room and the captains chairs for the middle row. It was so much more spacious, too. If I ever buy another vehicle, which I'm sure I will eventually, it will be another Villager! Personal details of a caravan. 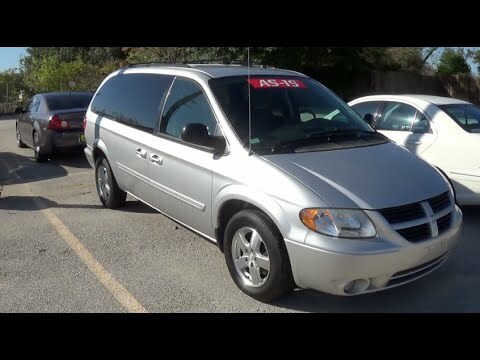 The Dodge caravan that I drive is reliable for the most part as long as all the parts are working properly. The starter recently went out so I had to get a new one but now it is working in great shape considering the year it was made. One of the biggest downsides is that it does not have very good gas mileage. Though it does not have the best gas mileage it is an extremely safe car and great if you have a family. I do not have a family but it helps to haul furniture and lots of groceries. It would also help with moving to a new house. I can fit my pets in there or loads of boxes. Best investment ever! HIGHLY recommend this vehicle!!! This van is SO comfortable for trips (short & long)! Great gas mileage! The automatic side door openers is a HUGE plus, especially for loading and unloading kids and groceries. The hideaway seats is another HUGE plus when we need extra room for transporting large items, or going on a long trip. Our rear window wiper motor just burned out, but other than that, we really have no complaints, This van has been a HUGE blessing to our family! POWER STEERING FLUID LEAKAGE IN THE PRESENCE OF AN IGNITION SOURCE CAN RESULT IN AN UNDER HOOD FIRE.